Selection of only physiologically ripe grapes; crushed; cooled, skin contact for 2 hours; pressed; fermented in stainless steel at 18 °C; 3 months lees contact in stainless steel. Delicate fresh green apple fruity aromas; displaying flavours of lemon; lime and peaches; solid fruit core; rich in finesse; with a beautiful length and mineral tones. 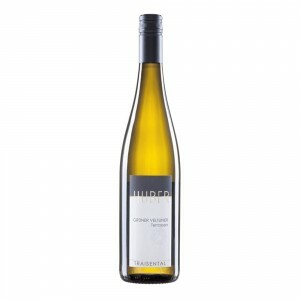 The ideal wine for seafood, white meat and light dishes like salads; also very pleasant as a refreshing summer wine on a hot day, or just to be enjoyed by itself.